Did you know for a little more than the price of about two washes, you can come in as often as you need to each month up to once a day? Who cares if it rains? We don’t and neither should you. 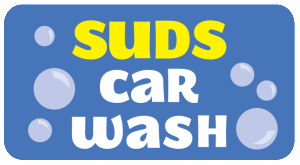 Signing up for our wash membership is a great way to save money each month and always drive a clean vehicle, plus have the freedom to wash on your terms! Be kind to your antennas, mirrors, wheel chair carriers, and other accessories with the Touchless car washing system. Gently remove caked-on dirt with the Soft Touch system. Fewer passes reduces your wash time and you may choose to add extra shine or extend your drying time. Choose from over 30 vending items to freshen your vehicle’s interior. We offer towels, cleaning products, air fresheners and more in one convenient location. We invite you to share the activities that you are most passionate about with our community. 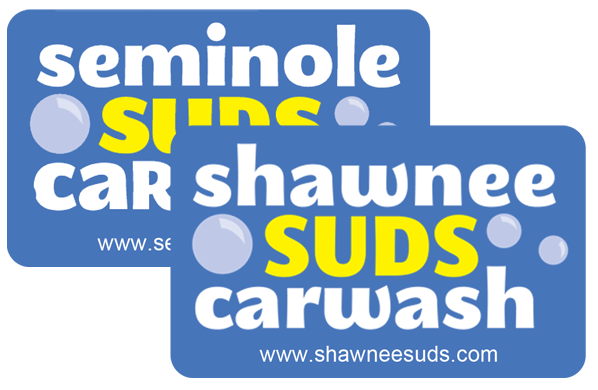 Shawnee/Seminole Suds has dedicated the 3rd Saturday morning of each month to help local groups raise money for their programs. FUN*RAISER events may run from 9:00 AM to Noon on these days. This app provides customers of the Shawnee, OK trade area with quick and convenient access to our staff and services. From the app you can have questions answered, relay any concerns to the local Owner, buy gift cards, qualify for coupons, promote and support your favorite charity and access our Facebook community. Staying connected to you, our customers is the key to ensuring your satisfaction. By allowing push notifications you will be able to supercharge your washing experience with special discounts. 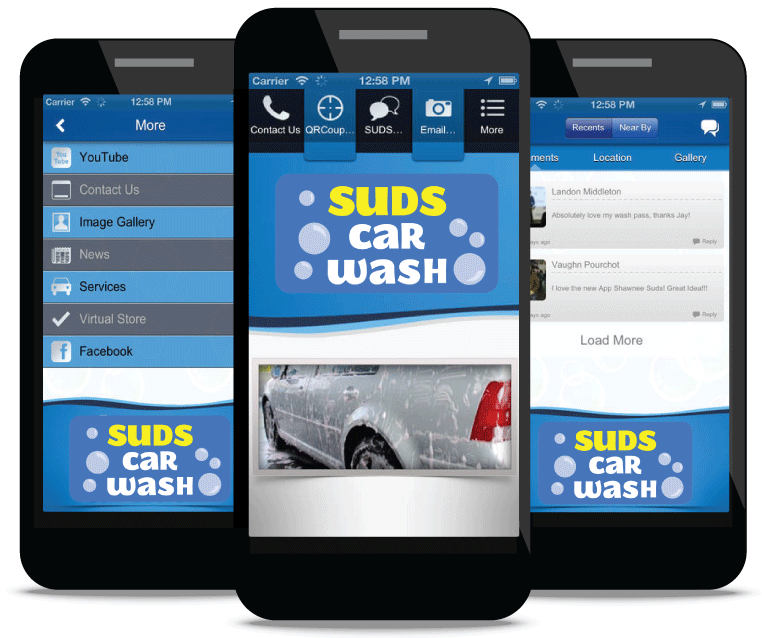 Download this app now for free to make vehicle washing an easier and more enjoyable experience.